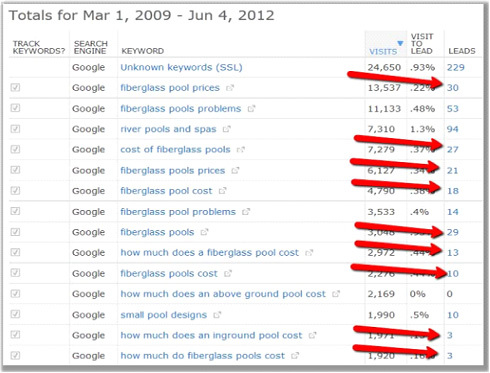 How do you produce content to grow business, without being too concerned about keywords and keyword research? Content marketing is the art of providing useful and relevant content to customers without interrupting or selling to them. Instead of pitching products or services to customers, you are delivering information that makes them more informed before they buy. If you deliver valuable, consistent and ongoing information to consumers, they will ultimately reward you with business and loyalty. 93% of all consumers use search prior to making a purchase. 90% plus of buyers click on organic links ahead of sponsored adds. Buyers are searching for information that helps them make an informed decision. Businesses that provide that information - will win. 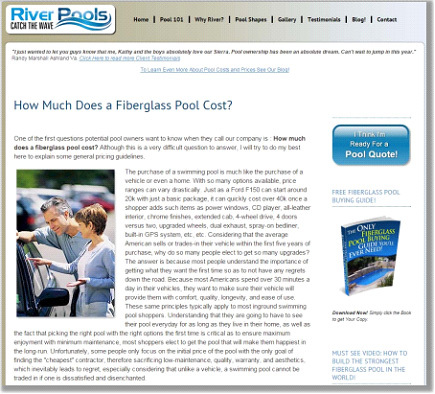 This example post comes from the company River Pools and is called “How Much Does a Fiberglass Pool Cost?” When you read it you understand it is actually making analogies to the purchase of car more than pools. Why? Because the company cannot specifically answer the question. It has no idea what specifications – for example how deep – the customer requires. The company can only know that from the customer and that is the issued being addressed in this content. It is something you should try to replicate. 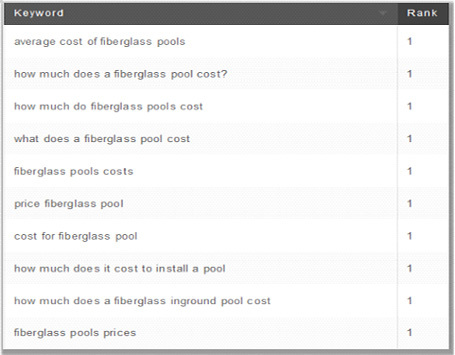 Look at the result, after the content was published it holds the number one rank in Google for all different keyword phrases related to the cost of a fiberglass pool. It is an outstanding result. Here’s how many leads came in from that post, it totals more than 100. This meant that post resulted in more than $2.5 million in extra pool sales. On to problems and how to address them. River Pools were aware a competitor selling concrete pools or above-ground pools was informing prospective customers there were problems associated with fiberglass pools. The company produced content to talk about that and tackle the issue head on. 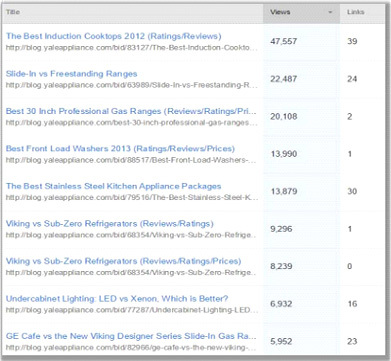 Here is what happened, 32 leads came in as a result of the article. In your business identify issues and problems when it comes to your products or services and address it in content for positive results just like this. Take a look at this comparison from IT company Segue Technologies. They began writing posts making comparisons of their products versus others. Look at the numbers, 92,000, 70,000 and 50,000 views of posts in the ‘versus’ category. Determine how you can do the same for business. The results speak for themselves, the green indicates organic growth over a period of 18 months because of the type of content they were focused on creating. 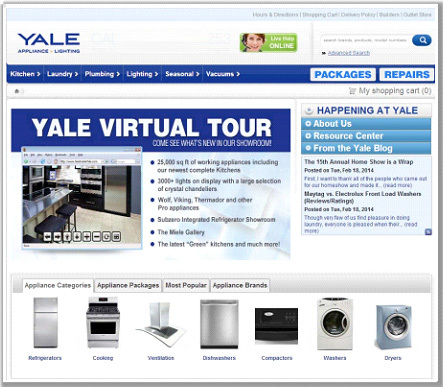 Here are the categories of buyer’s guides Yale created. What happened? Look at the views, very impressive. 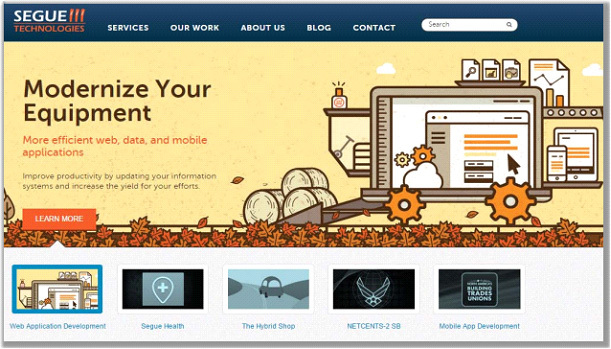 The company began content marketing in 2012, and traffic steadily grew. There are spikes in the numbers. 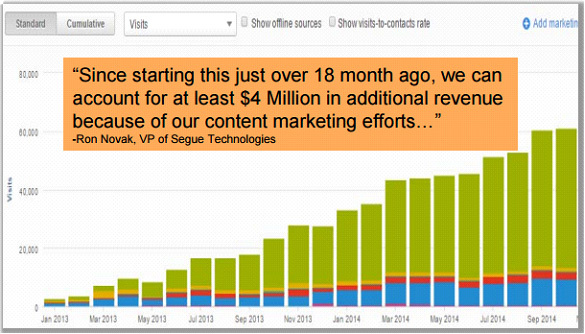 It takes time for organic traffic (indicated in green) to grow. While the title of this post asks you to look wider than keywords – you still need them, the point is knowing the ways around the competition and finding keywords and keyword combinations that convert very well. 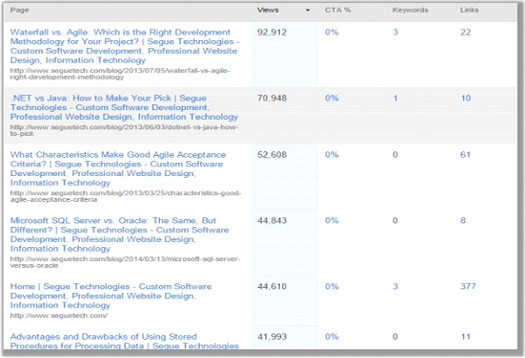 Use Google suggest for B2C and B2B. Go to YouTube for ideas. Answer the questions the public (your potential leads) are asking. Remember long search strings equal more clicks. Don’t ask “what can I write about?” Ask “what questions do I get asked every day”. Don’t risk your success on creating clever, cute, fun content. Produce content people are actually searching for.